Article 1 of the Charter of Fundamental Rights of the (2000) states that “Human dignity is inviolable. It must be respected and protected”. In a highly information and communications technology-based world, this fundamental human right and basic ethical principle is facing an increasing threat. The Coalition against Covert Harassment (World CACH) is a not-for-profit organisation committed to raising awareness to the problem of non-consensual experimentation using remote influencing technologies and techniques on the human mind and body. We propose clear ethical boundaries to regulate their use. The Coalition against Covert Harassment is committed to raising awareness to the legal systems as well as to the medical and scientific community to the crime of illegal biomedical and weaponry research committed on citizens in the European Union and beyond. As a European network, World CACH acts as a lobbying and advocacy platform towards the world. Using our international network of scientific and technology experts, partner civil and human rights organisations as well as important stakeholders in civil society, we provide consultancy services to the EU Institutions based on our expertise. World CACH’s organisational goal is to influence legislation and the decision-making process in calling for a worldwide ban on weapons that might enable any form of manipulation of human beings. Providing expert consultancy to key decision-makers on the creation of appropriate EU legislation to protect citizens from this kind of covert crimes. Organising networking events (workshops, seminars, conferences) involving all actors concerned to exchange experiences and best practices for the establishment of clear ethical boundaries to strictly regulate the use of systems enabling the manipulation and control of human beings. 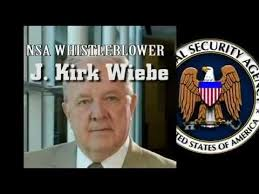 We are honored to have American heroes William Binney and J. Kirk Wiebe as advisors to the board of directors of WORLD CACH (Coalition Against Covert Harassment). Mr. Binney and Mr. Wiebe worked at the NSA for over 30 years. 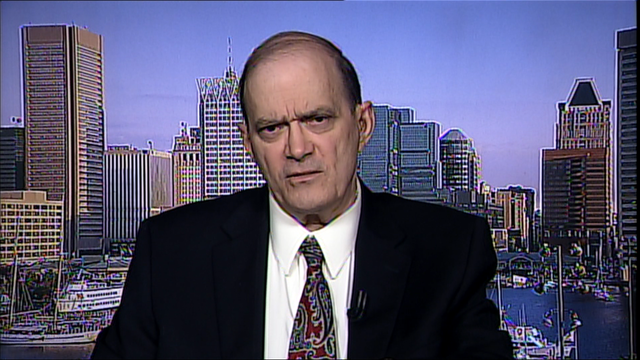 William Binney is the former NSA crypto-mathematician and J. Kirk Wiebe is a former NSA senior analyst. Both worked in Signals Intelligence (specifically SARC – Signals Intelligence Automation Research Center): Mr. Wiebe, as a senior analyst and recipient of the Meritous Civilian Service Award and Mr. Binney as Technical Director of the World Geopolitical & Military Analysis Reporting Group. The first World Covert Harassment Conference took place in the autumn of 2014 and William Binney was a featured speaker, explaining NSA’s system of logging of all communication systems data and the method of analysis. They both work tirelessly at bringing to light the violation of protections of personal freedoms that have occurred both in the United States and the European Union. At the NSA, Binney’s team, including Wiebe, developed a program, THIN THREAD, which was ready in January 2001, prior to the 9-11 attack. However, General Hayden ignored THIN THREAD and chose an undeveloped program called TRAILBLAZER. TRAILBLAZER was only on paper and cost billions whereas THIN THREAD was only a $3 million price tag. In response to 9-11, President Bush began a secretive domestic surveillance program which included “STELLAR WIND”, based on Binney’s THIN THREAD, but with US Citizens’ protection removed, thus violating the Constitution. Both Binney & Wiebe and others (Ed Loomis, Diane Rourke, and Thomas Drake) had their homes raided by the FBI and personal possessions seized. No charges were ever filed and in early 2010 the Department of Justice issued letters of immunity to our honorable advisors. They are the subject of a recently released documentary, A GOOD AMERICAN. 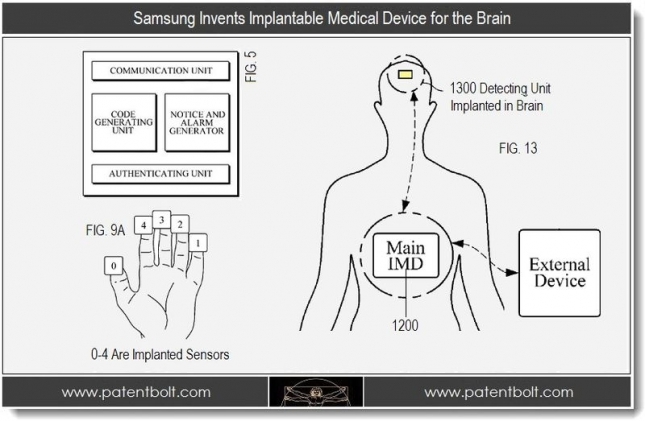 The United States Patent and Trademark office recently published details surrounding a patent from Samsung regarding a technology that strategically implants electrodes into the human brain called Implantable Medical Devices (IMDs). The South Korea-based company states that an IMD may be implanted into a human body and be used to help monitor primary organs such as the heart and brain itself, PatentBolt reported on Wednesday. The IMD may also be used to monitor a patient’s physiological and pathological state, though Samsung notes that it may be difficult to control or change operation of the IMD because of the complex procedure involved with implanting it into the body. The IMD would also be accompanied by an external user device that could be used to display information to a patient’s doctor or to medical personnel in the event of an emergency. A future of brain-controlled tanks, automated attack drones and mind-reading interrogation techniques may arrive sooner than later, but advances in neuroscience that will usher in a new era of combat come with tough ethical implications for both the military and scientists responsible for the technology, according to one of the country’s leading bioethicists. 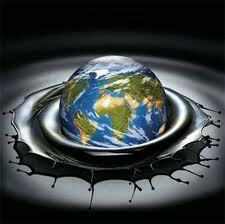 “The goals of national security and the goals of science may conflict. The latter employs rigorous standards of validation in the expansion of knowledge, while the former depends on the most promising deployable solutions for the defense of the nation,” he writes. 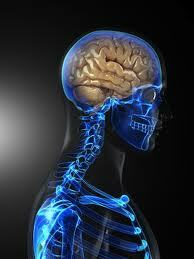 Much of neuroscience focuses on returning function to people with traumatic brain injuries, he says. Just as Albert Einstein didn’t know his special theory of relativity could one day be used to create a nuclear weapon, neuroscience researchintended to heal could soon be used to harm. 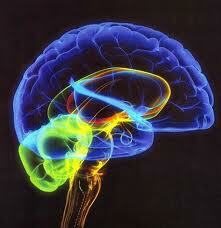 “Neuroscientists may not consider how their work contributes to warfare,” he adds. Moreno says there is a fine line between using neuroscience devices to allow an injured person to regain baseline functions and enhancing someone’s body to perform better than their natural body ever could. “Where one draws that line is not obvious, and how one decides to cross that line is not easy. People will say ‘Why would we want to deny warfighters these advantages? '” he says. 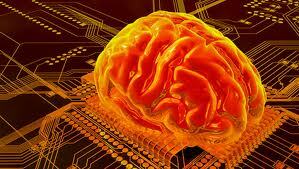 The military, scientists and ethicists are increasingly wondering how neuroscience technology changes the battlefield. The staggering possibilities are further along than many think. There is already development on automated drones that are programmed to make their own decisions about who to kill within the rules of war. Other ideas that are closer-than-you-think to becoming a military reality: Tanks controlled from half a world away, memory erasures that could prevent PTSD, and “brain fingerprinting” that could be used to extract secrets from enemies.Moreno foretold some of these developments when he first published Mind Wars in 2006, but not without trepidation. All of those questions will have to be answered sooner than later, Moreno says, along with a host of others. Should soldiers have the right to refuse “experimental” brain implants? Will the military want to use some of this technology before science deems it safe? Check out U.S. News Weekly: an insider’s guide to politics and policy. Bioethics Truth Commission is working to uncover the “dark forces” that are used in the development of strong AI (artificial intelligence), and nano brain implants. This by forcing more transparency and more democracy. Progressing in strong AI, done on human guinea pigs where the research is hidden behind diagnoses of mental illness can never be accepted.If this situation continues, no one knows what is psychiatric disease or what is the strong AI. It can nerver be accepted that AI and robot technologies should be used for torture and behavioralmanipulation. Become a wistlelblower to reveal this abuse of emerging technologies! “Whistleblower” refers to a person within an organization that puts its future at risk by publicly disclosing irregularities.Bioethics Truth Commission expand the concept of whistleblower to cover both inside and outside the business. Information and communication technologies (ICT) pervade our lives. Thus far, this pervasiveinfluence has mainly involved devices that we use for private purposes or at the work place suchas personal computers, mobile phones, laptops and the like. Due to new developments thesedevices are becoming more and more part of our bodies, either because we wear them (wearablecomputing) or because they are implanted in our bodies. At first sight ICT implants are ethically unproblematic if we think for instance about cardiacpacemakers. However, although ICT implants may be used to repair deficient bodily capabilitiesthey can also be misused, particularly if these devices are accessible via digital networks. Onemight even think of such devices as a threat to human dignity and particularly to the integrity ofthe human body (see Section 5), while for others such implants might be seen primarily as ameans for restoring damaged human capabilities and therefore as a contribution to the promotionof human dignity. The idea of letting ICT devices get under our skin in order not just to repair but even to enhancehuman capabilities gives rise to science fiction visions with threat and/or benefit characteristics.However, in some cases, the implantation of microchips is already taking place with the potentialfor individual and social forms of control. Those who know something about frequencies and nano-micro-wave-implant techniquesalready surely know what one has for possibilities to control. Through this, every computer is connected to the new “internet-elen”, so in principle all, absolutely all are in danger zone for attack. BANK, POLICE, HOSPITALS anyone company, there is neither firewall. Whatever server our “INTERNETHOUSE” has, lies in darkness. If one then uses the modified ELF ( Extreme Low Frequency – A Artificial Brain Frequency-Implant) it is easy to get 3D pictures of every on, and listen to every conversation. Still more unpleasant is that one can easily send any frequency at all trough internet-elen, also those that influence people’s brain frequencies “implant”. ( One Remote Control for all People? 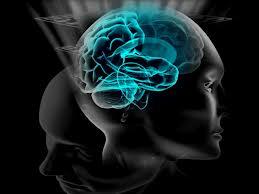 )We are into the largest experiment concerning control of human behavior brainwaves that the world has ever known,. Sweden and Finland have always been field experiment countries for micro-waves implant and therefore it is only these countries that got the system first.If all goes well other countries will follow later. Germany has already tv-prog about the project.same in other Countrys.We must very quickly give out information concerning this new system so that it becomes public and all the lies are revealed. ( Newspapers; Internet; TV, etc.) Help out if you can, for it is acute and the first experiment is already underway.If we do not stop it now, then the whole world will get this system.There is a direct connection the biggest HAARP SYSTEM in the World-” LOIS in Southsweden” , FRA, Echelon and how Sweden was “rented” to NATO so that one can test these new exotic weapon systems in Norrland (North of Sweden) without control of the swedish. military. one part of Americas Patriotic Acts ( Otherwise know as the “Patriarcal Axe 1 & 2”) which obviously, automatically follows. The total control ofpeople behaviour is only the beginning. Already 3G and the energy satelites basically one part of the new weapon system and obviously NATO plans to carry out more experiments in Europe and Swedens population. Try to understand what we have how responsibility we have to the world. Who is going to stop the system if we don’t do it? Seek information, think for your self and ponder on what you find and don’t forget. 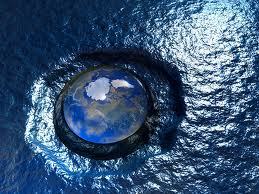 Help to stop Europe LARGE SCALE MIND CONTROL EXPERIMENT !